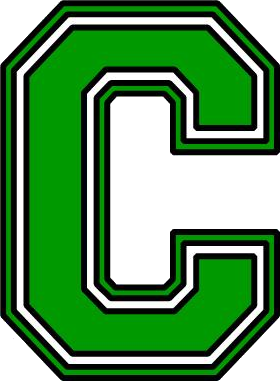 On Tuesday, Cloverdale wrestling began the season with the green and white scrimmage. In action for the clovers were Blake Willis, Jackson Szczerbik, Nick Blundell, Peyton Skadra, Jerry Burton, and Jacob Gibson. This is also the night that we honor our alumni. 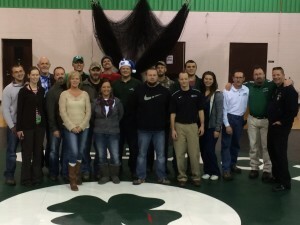 With a total of 18 alumni wrestlers, managers, and coaches in attendance the clovers conducted exhibition matches while providing food and drinks for the alumni. Former wrestler and current 2x state finals official Jeff McClane officiated the matches. 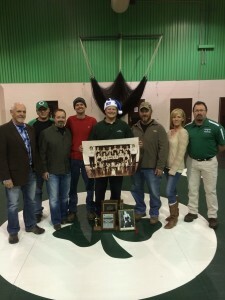 Following the matches all of the alumni were recognized for their years on the team. Also honored were the 1990 Sectional Championship team which was the only undefeated dual meet team in school history.